REDFORD, Michigan (WTVD) -- A wanted Michigan man who told the Redford Police Department he would turn himself in if their Facebook post got over 1,000 shares, kept his promise. Michael Zaydel, known on Facebook as Champagne Torino turned himself in on Monday, according to the police department. On October 6, Zaydel challenged the Redford Police Department on Facebook saying he would turn himself in, bring a dozen doughnuts to the station, and pick up litter around public schools if the department were to get 1,000 shares on its next post. A wanted Michigan man challenged the Redford Police Department on Facebook saying he would turn himself in if the department were to get 1,000 shares on its next post. The challenge was accepted by the department. After making Zaydel's message public, it received the 1,000 shares in just over an hour. Since then, the post has received over 4,000 shares. Zaydel kept his word and turned himself into the authorities. 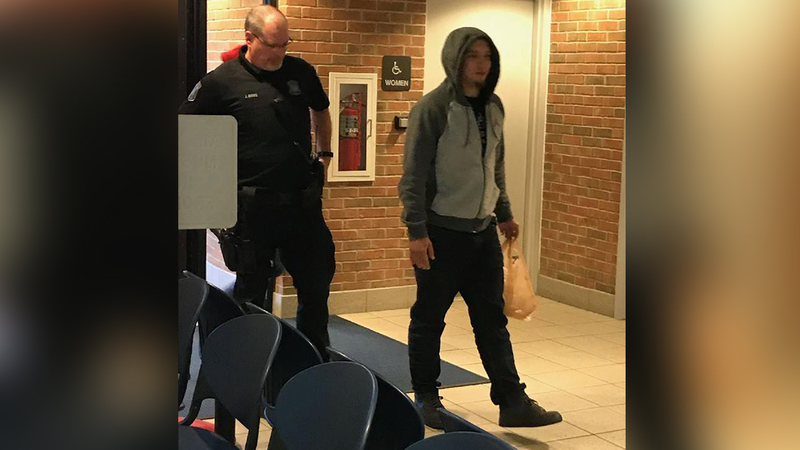 According to a post shared by the Redford Township Police Facebook page, Zaydel arrived with a dozen donuts and even a bagel. He's due to have a hearing on Tuesday, police said. Storyful contributed to this story.